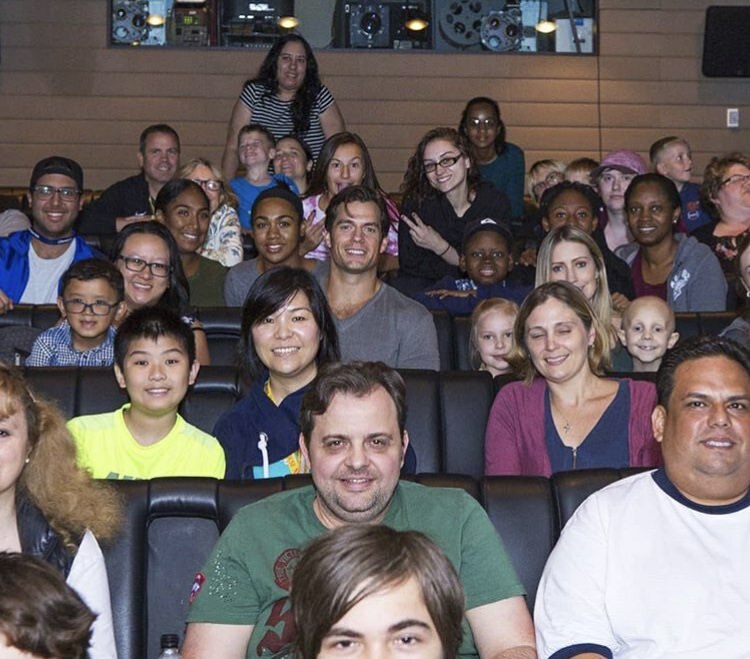 While Henry was in New York a few weeks ago, he attended a very special screening of Mission: Impossible Fallout with some young cancer patients and their families and also met with other kids. Meagan Celeste helped organize the event and today she shared some pictures and heartwarming details about the day, so make sure to read her write-up below. 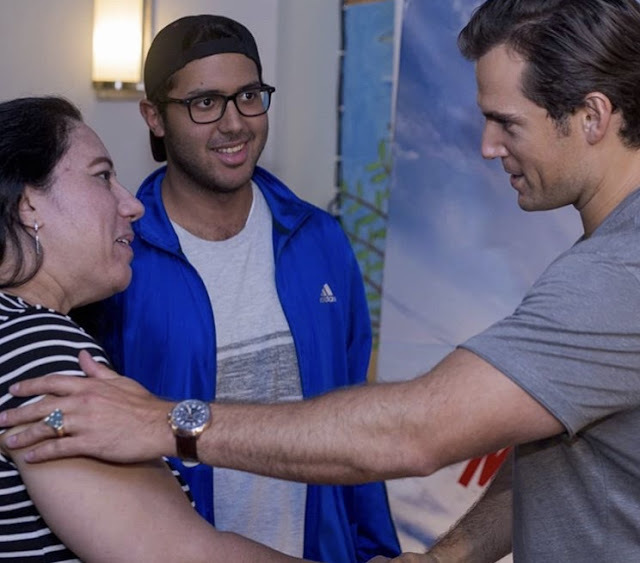 I am incredibly grateful to have been on hand to photograph the experience of @henrycavill meeting the amazing and wonderful families of the @rmhnewyork a couple weeks ago. @mdceleste from @mdcprods curated this event and brought me on to shoot (which I absolutely love doing), arranging not only a visit from Henry, but a screening of Mission Impossible-Fallout for the families. Henry came in at the end of the screening for a Q and A with the kids and families. 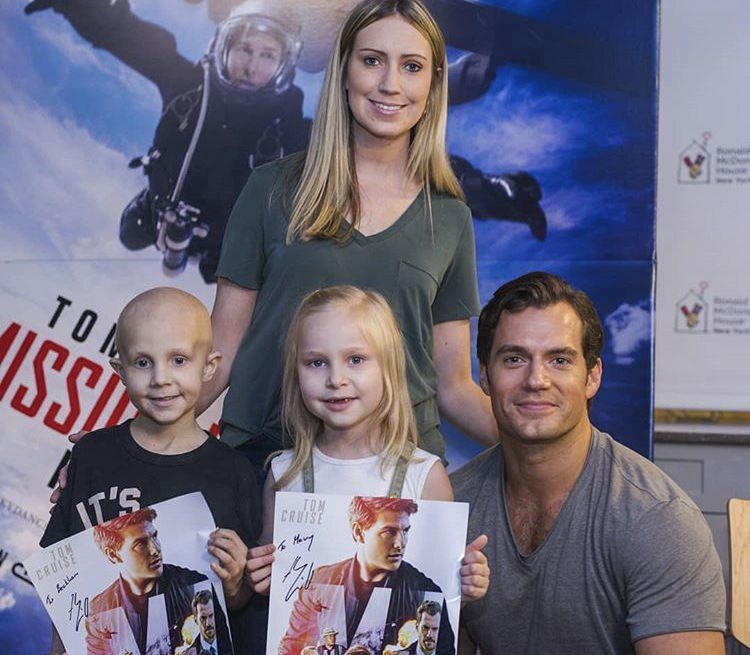 When one child asked "What would you say to kids fighting cancer?" 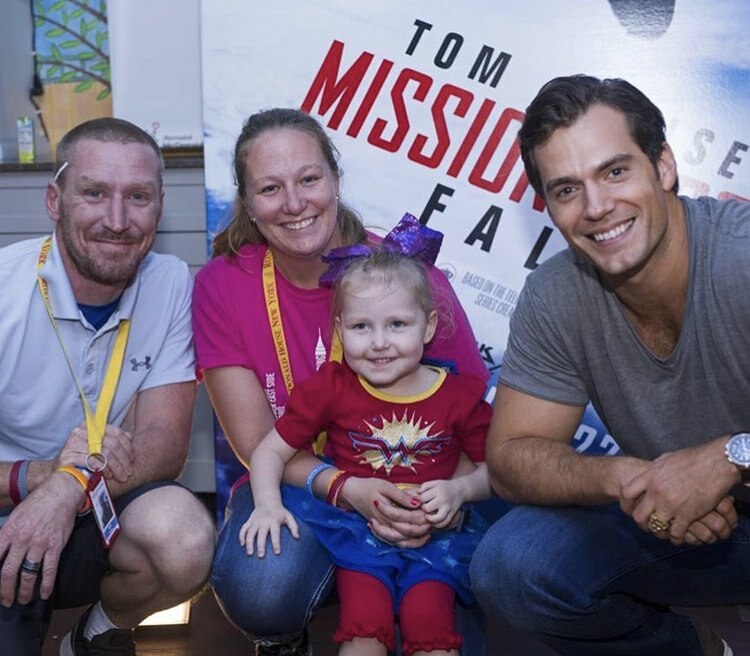 Henry's response was just lovely..."No matter how strong you think Superman is, a child fighting cancer is a thousand times stronger." Thank you to Henry and his incredible team, the folks at Paramount and the Bryant Park Hotel for arranging the screening and swag goodies, the folks at Ronald McDonald House who are always just so nice and awesome and accommodating and do such wonderful work with the families. I'm honored when I get to do these events. More than just meeting celebs, I get to photograph memories for these families and the amazing people who work with them. The joy they get at meeting their heroes is pretty incredible. These people are absolute warriors. Thank you to Meagan and Greg for allowing us to share these precious moments with everyone. If you want to learn more about these brave kids and their families click through Meagan's post -- she's tagged them all on their individual photos. Meagan also posted this video from the event at The Ronald McDonald House in New York. I am deeply moved... 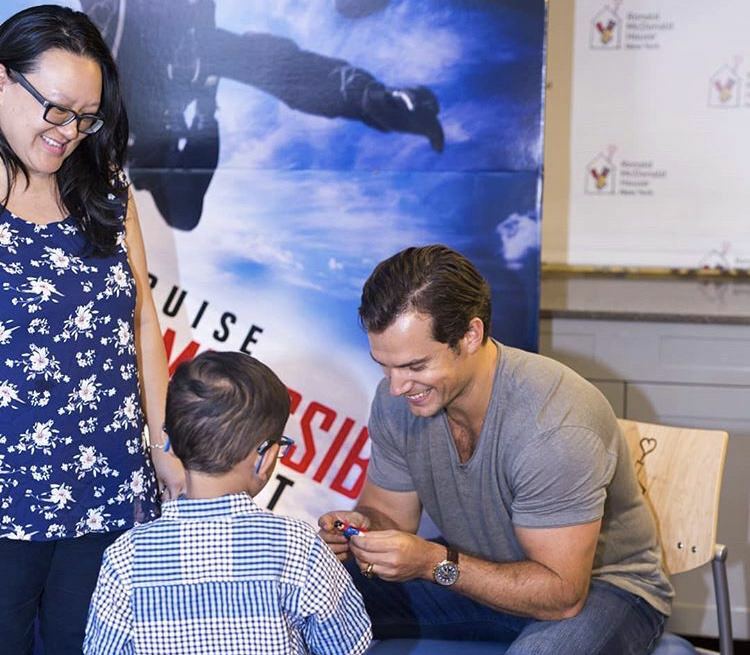 I believe Henry's presence brought huge encouragement to both, children and their parents. 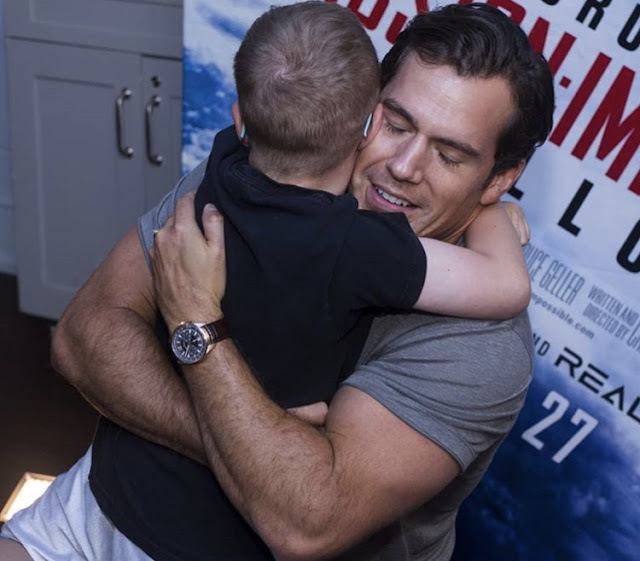 Henry surely has a heart of gold! This man is incredible. Besides being handsome, he humble, simple, supportive, has a kind heart, is not selfish. He is a great human being. This is the reason why I love you so much. 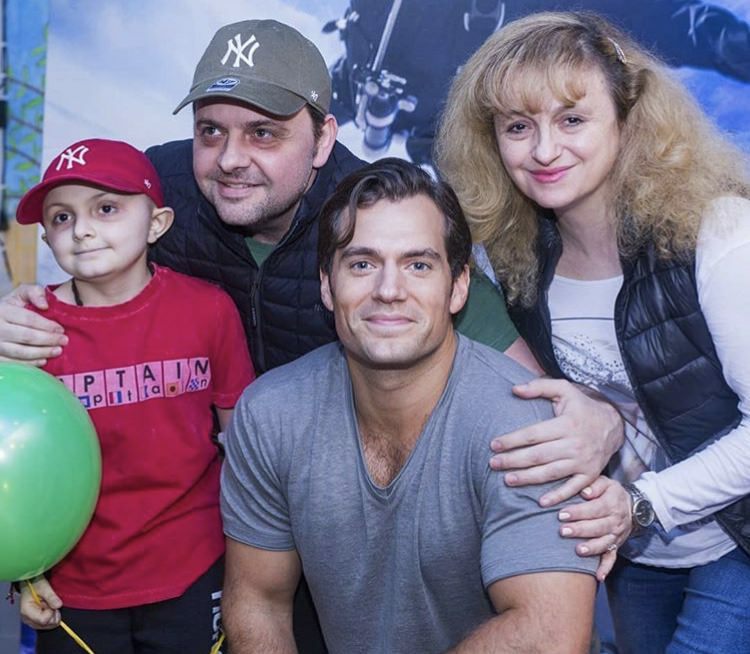 Henry, it is great to see that you use your influence for good and right things. I think that gives a meaning to life and peace to soul. Every kid is a gift, even sometimes there are hard times, but hope gives a strength and they become fighters. You can see that on their faces <3. I wish them a lot of strength, hope, faith and love. Amo tu calidez humana mi Henry William. I love your human warmth my Henry William. No me canso de ver estas fotos, es el abrazo de oso más tierno, más hermoso más calido, en realidad me conmueve tanto. Eres mi HEROE NETA!! 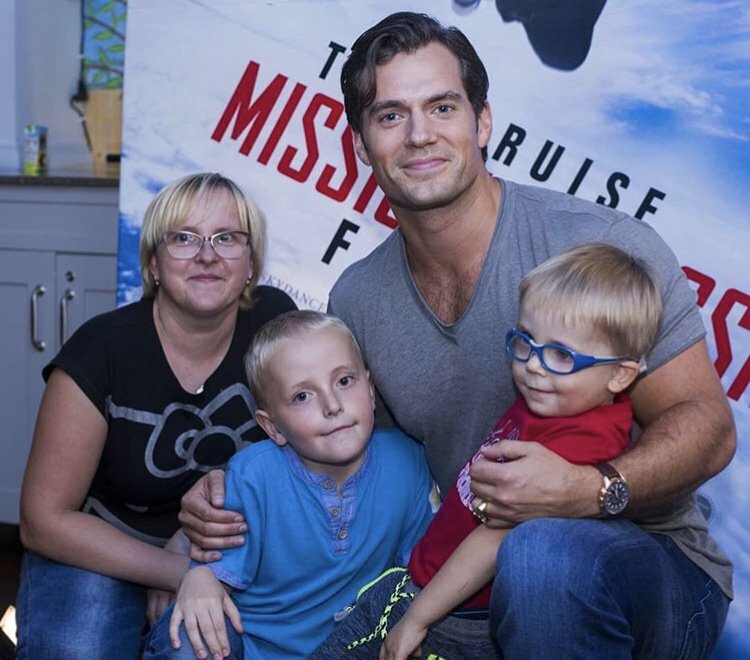 You are a sweet thing Mr. Henry! 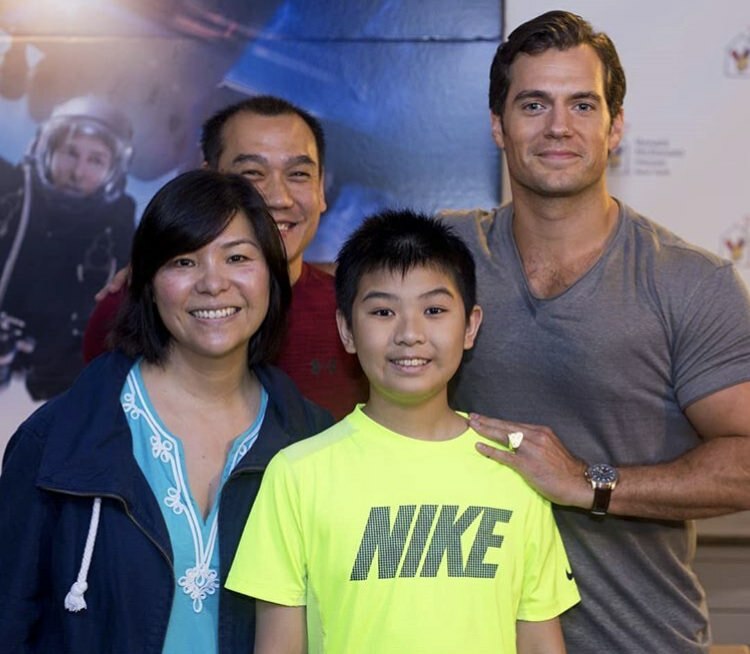 #GetHenryAManOfSteelSequel <3 he's so deserving of it! Henry...these are heartwarming and endearing pics. A man with a big heart and caring!! They say what goes around comes around...God will continue to shine on you!! !